Congrats to Andrea Peat on a successful NZ Mountain Champs - 3rd kiwi home in the Open Women Grade! Fantastic effort! 🏆 Well done to all the other WHAC members who competed! Jolly good turnout today given the competition at xterra and post mtn running champs. 24 km of nice flat roads on a perfectly still day. Our winter series of interclub events opens with the Shaw Baton relay, hosted by Olympic Harriers. This is a fun teams event run over traditional cross country terrain including grass, gravel tracks, mostly flat to undulating with one sharp uphill and downhill. It has log jumps and a pond. The course is around 2km with four laps for all grades. There is a 1km scratch race for under 10s. Team WHAC at World XC! With the horrendous museum roof behind us! Amazing results in the U20 Women's 5000m with Kirstie Rae taking out the national title 🥇✨ and Phoebe McKnight taking out the bronze! 🥉🎉 followed by Maiya Christini also taking a bronze in the Senior Women’s 5000m!! Congrats to our club captain Paul Hewitson and everyone else who raced at Alps 2 Ocean Ultra! CONGRATULATIONS to all who competed in today's Buller George Marathon event! Photos of Kirstie Rae on her road to a national silver medal and a new PB of 9:43 over 3000m! 2019 Shaw Baton Relays, 27th April – Click here for details. Welcome to the home of Wellington Harrier Athletic Club, Wellington’s oldest and most prestigious harrier club. Founded in 1903, Wellington Harriers is in its 117th year of competition. Everyone is welcome to join WHAC. We cater for all levels, ages and events for those wanting to improve fitness through to regional and national competition. We host a number of club runs, interclub and social events throughout the year. During the winter, training is based from our clubrooms nestled in the heart of Wellington, on Mt Victoria. In the summer months we train and compete at Newtown Park’s all-weather Track and Field facility. For up to date news, photos and results check out our facebook page. The Vosseler Shield is arguably one of New Zealand’s toughest interclub races on the winter calender. Held annually on Mt. Victoria, the event features over four hundred athletes from various clubs across the lower North Island. The shield was named after Frederick Vosseler, a prominent Wellington businessman who helped found the Wellington Harrier club in 1903. In 1923 he presented the Vosseler Shield to his old running club for the annual cross-country fixture. In its early days the Vosseler Shield race started from Lyall Bay and went around the hills above Moa Point. It became a Mt Victoria event in the 1950s, when Wellington Harriers relocated to Alexandra Road. Wellington Harrier Athletic Club is one of the oldest harrier and sporting clubs in New Zealand. Founded in 1903, the first pack run set off from the Basin Reserve on the afternoon of April 29th. In the early years most of the club’s activities revolved around a weekly pack run held each Saturday. The location of the start varied week to week between various church halls and private homes around the district, a practice that still continues today from our clubrooms located on Mt. Victoria in the heart of Wellington. The first Wellington Harriers Cross Country Championship was held in 1905. The race was held over five miles at the local Island Bay Racecourse with eleven starters. Wellington Harriers first came to prominence at the 1909 NZAAA National Cross Country held in Timaru finishing second in the club race behind Caversham. 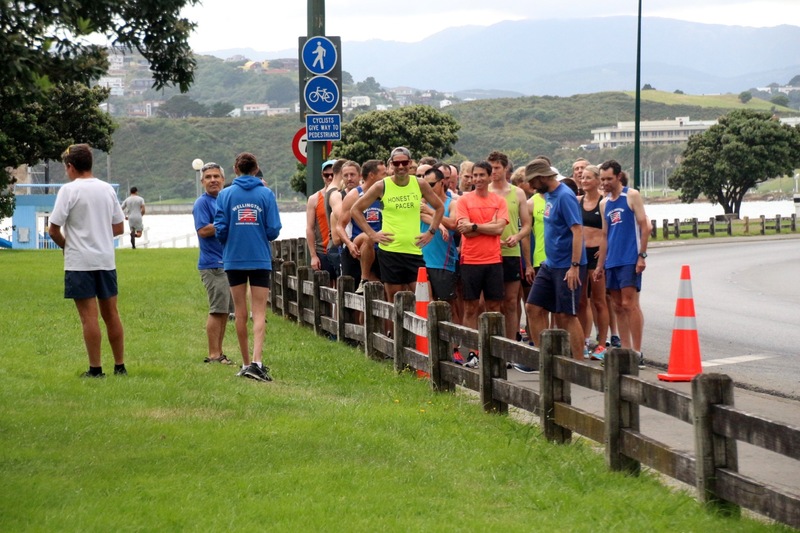 Since then Wellington Harriers has become widely recognised both Nationally and Locally as being one of New Zealand’s most successful harrier clubs. In 1984, Wellington Harriers Senior Men secured their first off two National Road Relay titles during the decade. A decade which included a host of National medals and New Zealand Representative’s such as the house hold names of Froude, McCallum and Drake. The 1990’s saw the rise of Wellington Harrier’s as a stable for producing some of New Zealand’s best female athletes. In particluar Barbara Moore (Bronze 1990 CWG 10,000m), Hare, O’Rourke and Humphries leading the charge. On the 22nd March 1997 it was unanimously agreed that Wellington Harriers would merge with the local Wellington Track and Field Club (WTFC) to form Wellington Harrier Athletic Club (WHAC). Since the formation of WHAC the club’s involvement in he track and field scene has continued to grow, to the point where we may now be considered the premier track and field club in the region, among the top T&F clubs in the country. WHAC has also developed a strong Children’s athletic’s programme which usually sees over 100 children at club days. In 2003, WHAC celebrated 100 years of running and is proud to be one of New Zealand’s longest standing Harrier and Athletic Clubs. The club continues to grow with over four hundred members from children through to masters.